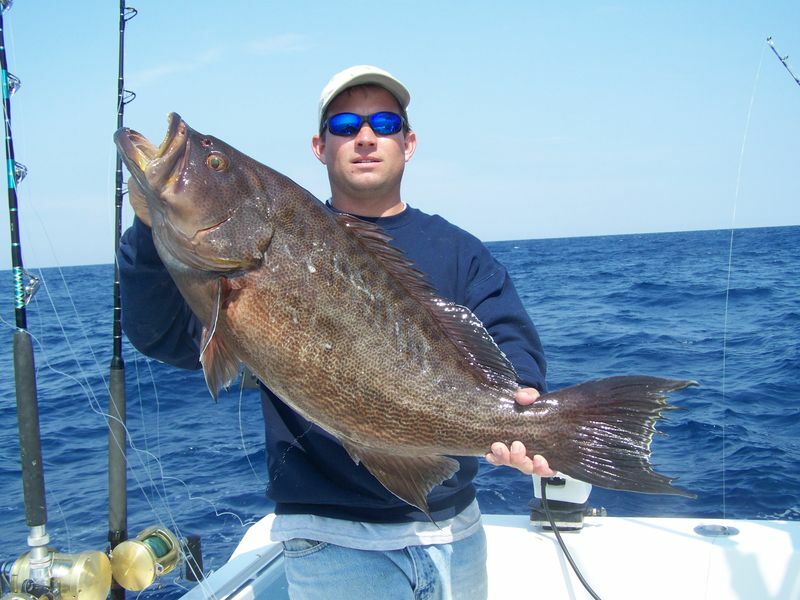 Oak Island Fishing Charters started out in the backwater behind Bald Head with no luck this morning. After a phone call about the big Spanish Mackerel in the ocean we headed that way. Lucky for us we got there when we did because the bit was hot and the fish were big and after a couple hours we had a mess of citation Spanish and headed toward the house. Hopefully this week the weather will let us get out so stand by. 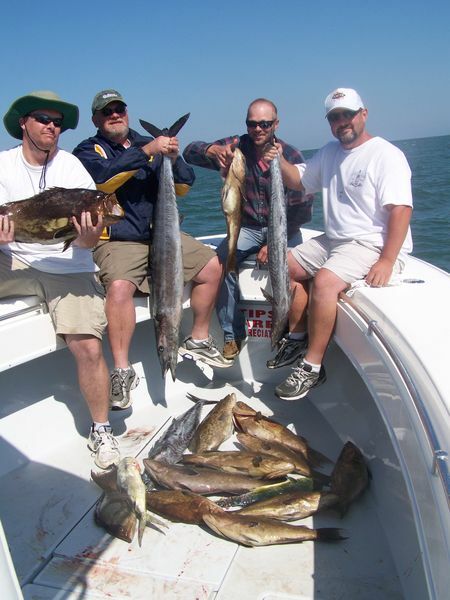 Oak Island Fishing Charters has been in the bluewater lately catching Grouper, Mahi and Wahoo. We had a steady hand the other day that took a short video of a Mahi that did not want to go in the box. Go to our contact page and click on Facebook for video link. Oak Island Fishing Charters went by Bald Head Island NC at 5:30 am on a Grouper/Mahi/Wahoo mission and at the end of the day mission was complete. We caught some of the biggest Scamp grouper Ive seen in a long time and once we caught the boats full limit the mahi and wahoo was on the menu. Great day fishing with some even better people cant wait till again. Oak Island Fishing Charters got an early start today passing by Bald Head Island NC before the sun came up. If the fishing was this easy everybody would be doing it, Big Scamp Grouper and Wahoo is what wanted to ride back home with us today. We had the boats full limit in less than 30 min then put the lines out chasing down some wahoo. 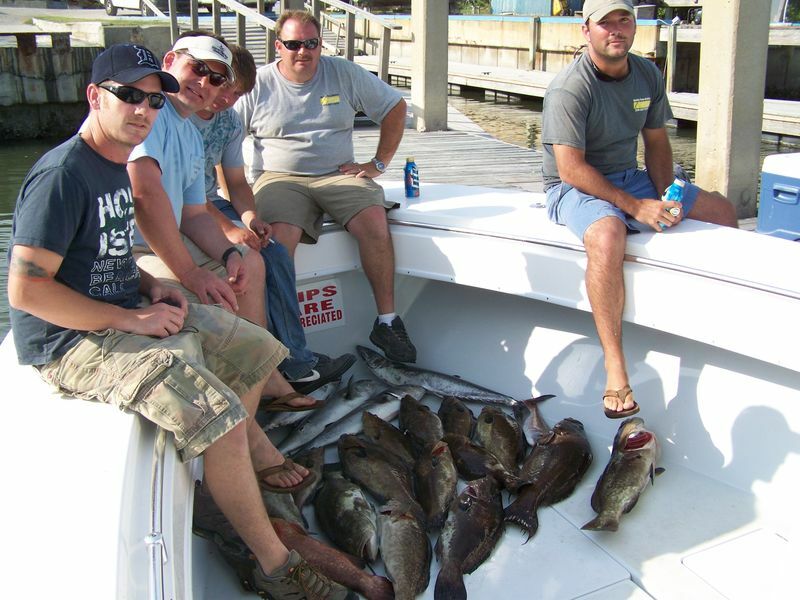 If you have not booked your grouper CATCHING trip hurry up. Oak Island Fishing Charters went looking for a Nearshore King Mackerel today with a Grandmother/Grandson combo. We heard there was no bait of Bald Head Island so we ran down Oak Island till we found bait. 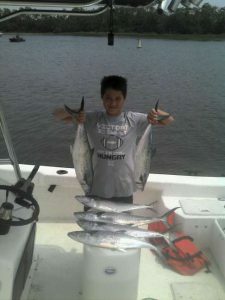 Yaupon Reef is were we found the action Big Spanish Mackerel and 18-20lb Kings. Now thats the way to spend the afternoon East wind and all. 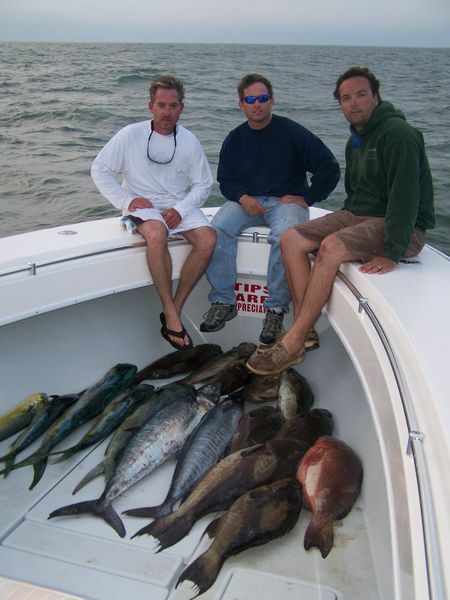 Once again I think an East wind is a fishermans excuss because we have caught plenty of fish on an East wind. Fact is either they are biting or their not. Oak Island Fishing Charters has been fishing in the backwater to the bluewater the last several days catching Red Drum, Bluefish, Sharks and smoked the Grouper. The Backwater fishing was done behind Bald Head Island NC while the bluefish and sharks were just of the beach of Oak Island NC. 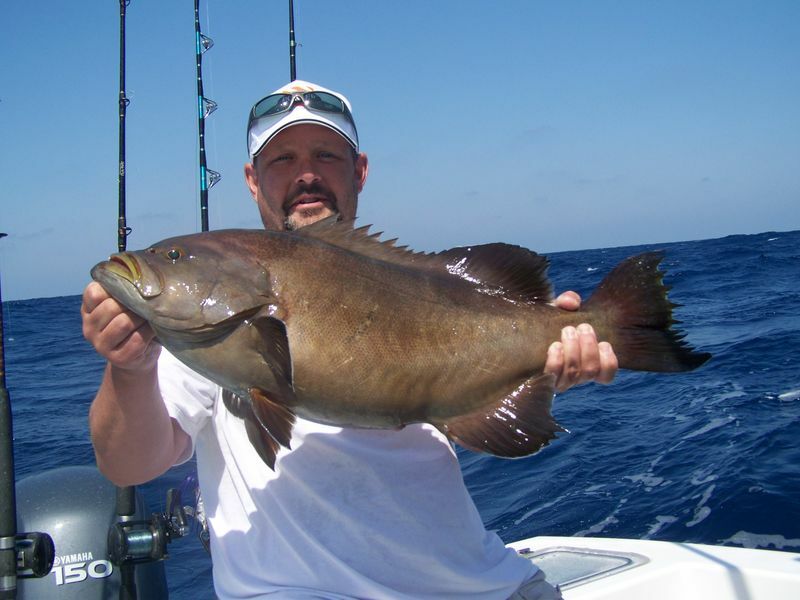 Nearshore fishing has been slow but will only get better but the grouper fishing I really dont see how it can get much better because catching them 5 at a time is great.